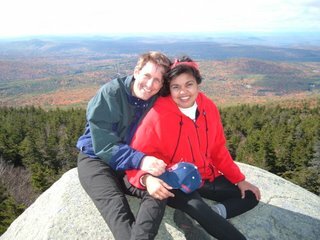 A person's lack of South Asian savvy is revealed when they see my husband and me and ask, "Oh! Was YOUR marriage one of those ARRANGED ones?" Well, maybe that's not such a dumb question after all. As Rob and I head off to commemorate 2 decades of marriage, it certainly seems like someone might have been arranging things behind the scenes. I'll be back on the Fire Escape 8/31. In the meantime, check out Mixed Media Watch, reflections on all things interracial.